Brownies are the best, aren’t they? So much flavor, so little effort. You don’t even have to wait for butter to soften. They’re my go-to thing to bake when I have a chocolate craving. I also enjoy finding new variations of brownies to bake. Different chocolates, different add-ins, and in this case, different toppings. 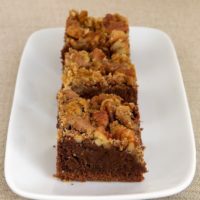 If you’ve ever eaten pralines, then you were likely on board with these brownies as soon as you saw their name. If you aren’t familiar with pralines, they are a candy made from sugar and pecans. They’re a bit caramel-y and nutty and sweet and pretty delicious. I’m not much of a candy maker. 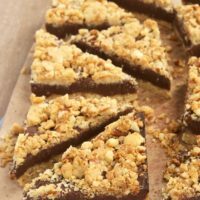 The topping for these brownies is praline-like. All the flavor is there, but there’s no candy thermometer involved. It’s a simple combination of pecans, brown sugar, and butter. Hard to go wrong with that. I used a variation of a recent favorite brownies recipe and just topped them off with that simple praline mixture. 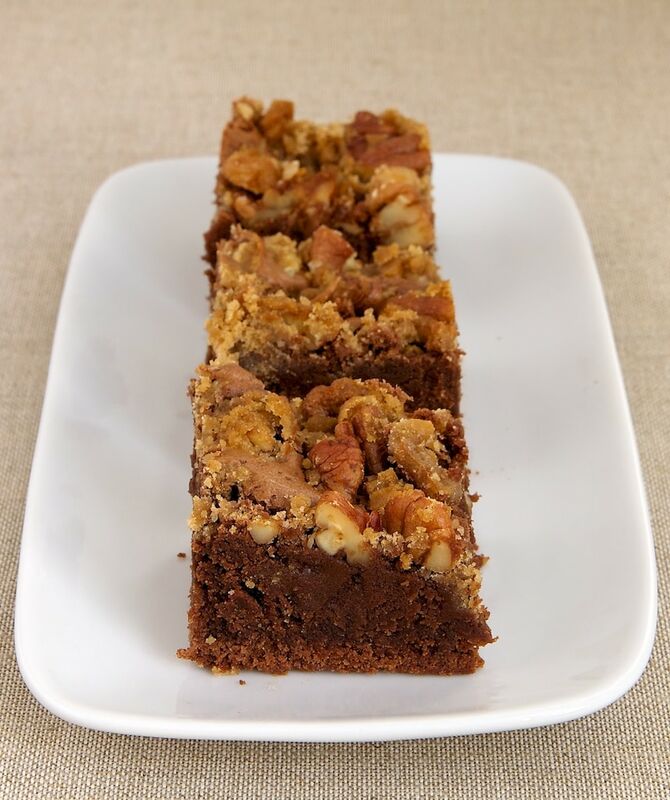 The result is a rich, sweet brownie just made for fans of all things chocolate and pecans. 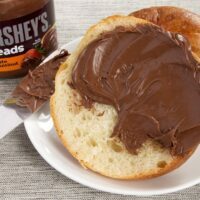 Place butter and chocolate in a microwave-safe bowl. 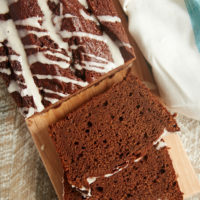 Heat at half power in microwave in 30-second increments until butter has melted and chocolate melts when stirred. Stir until smooth. Set aside. Mix sugar, eggs, and vanilla until well-combined. Mix in chocolate mixture. Add flour and salt. Mix until combined. Transfer batter to prepared pan and spread evenly. Place butter in a skillet over medium-low heat. Heat until melted. Bake 35 to 40 minutes, or until a pick inserted into the center comes out with moist crumbs. *The mixture will be a bit gooey, for lack of a better word. It likely won’t spread easily over the brownie batter. If it won’t drizzle, just dollop it evenly over the top of the batter. Brownies recipe adapted from Bourbon Cream Cheese Brownies. Topping recipe adapted from MyRecipes. I told myself if I came and looked that Jennifer would do right by me with a new and (or course) tempting recipe and she didn’t disappoint! 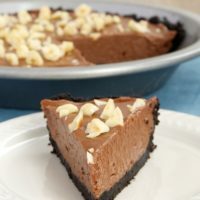 Looks magnificent but then anything with nuts and brown sugar is half perfect to me. Add chocolate and you have a happy marriage! Thanks, Jennifer!! Oh my goodness! 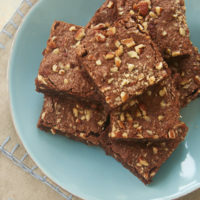 Brownies + pecans = my ultimate weakness! I never thought of putting the two together but this is genius. Brownies are my go-to as well, most definitely! I love how pralines are pretty much like super-nutty fudge. 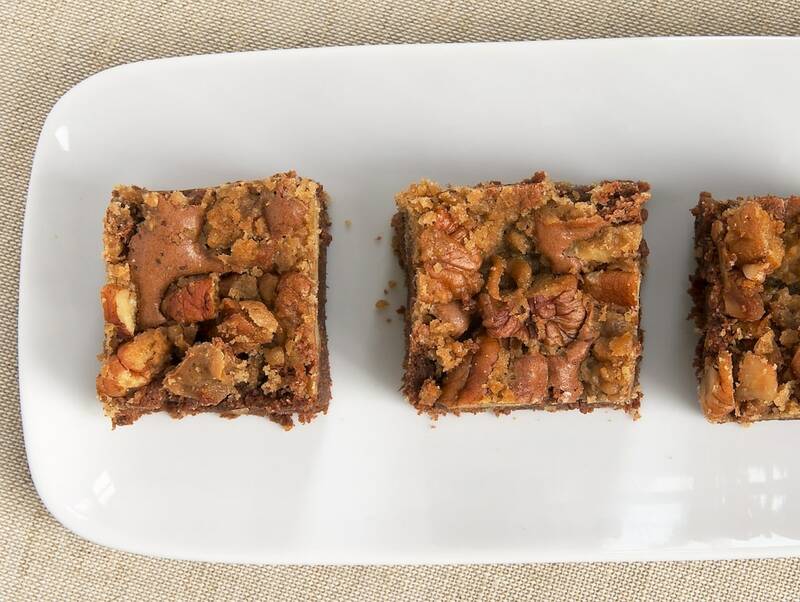 Them on top of brownies – SWOON. pralines are heeeaven. Put them in brownies and it is INSANE. in the beeest way! I remember the first time I had pralines down in Savannah, GA and fell in love. I can’t wait to try these brownies! Can we purchcase your cookbook(s) instead of downloading? Please let me know and, if so, I will do whatever I have to do to get one. Hi, Candy. My book is currently only available for purchase through the iBooks store and can be read on iPad, iPhone, and Mac. I don’t currently have plans to make it available elsewhere, but I will announce that here on the site if that changes. Thank you for asking! Oh my goodness – these look sinful! Made these (doubled the recipe for a 9×13 pan size) for my gardeners and took them over just past being cooled to cut. They went on and on about how great they were. They loved the dense brownie and the crunchy topper. I think this recipe is a KEEPER! Thanks, Jennifer.